Belt Scales in multiple Idler Configurations - ConveyWeigh, LLC	ConveyWeigh, LLC. 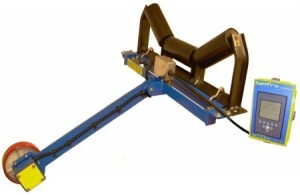 ConveyWeigh offers belt scales in multiple idler configurations (1 thru 4, below). The single idler scale comes with an integral belt speed sensor. As weighing idlers are added to increase accuracy, we simply supply and install a second, third and forth weighing idler to the single idler system. This modular concept facilitates efficiency in manufacturing (lowering cost), ease of installation, and allows you to add additional weighing idlers at any time with minimal cost and Installation time.